The consumption of Coffee in Europe was largely based on the traditional Muslim preparation of the drink. This consisted of boiling the mixture of roasted coffee powder, sugar and water. However, since 1683 a new way of preparing and drinking coffee was invented. 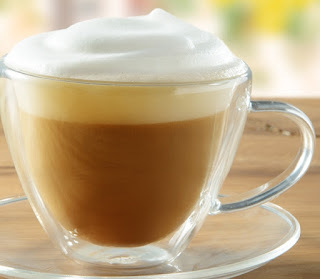 Cappuccino was invented and made from espresso, the precisely steamed and frothed fresh milk. The name cappuccino dates back to the Capuchin order of friars in the mid-1500’s. It was named after because the color of the espresso mixed with frothed milk was similar to the color of the Capuchin robe. The Capuchin Franciscan Friars were founded in Italy in 1536 with the desire to return to a closer living of the rule of St Francis of Assisi. ‘Cappuccinos’ first popped up as the ‘Kapuziner’ in Viennese coffee houses in the 1700s. It became popular when in 1850 when Austrian officers ordered their "Kapuziner" coffee in Milan.